Knoedler Manufacturers and ProBax technology provide Truck Drivers comfort, health and safety. Fleets utilize ProBax to benefit driver health leading to less time off the road, employee retention and loyalty. 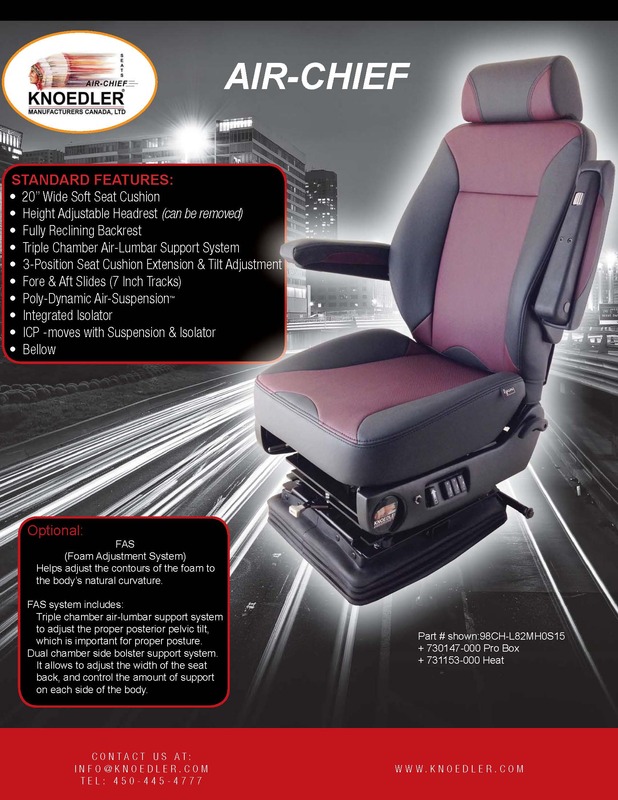 ProBax in a Knoedler seat is a proactive measure to prevent injury as well as a solution for drivers suffering with back pain and poor circulation while behind the wheel.